post direct to the recipient? post direct to the recipient? (required)Yes please!No thanks! post direct to the recipient? (required)Yes please!No thanks! post direct to the recipient? (required)Yes please!No thanks! post direct to the recipient? (required)Yes please!No thanks! Dad birthday card. A perfect card for your Dad. Simple message, perfect card for Dads of all ages. 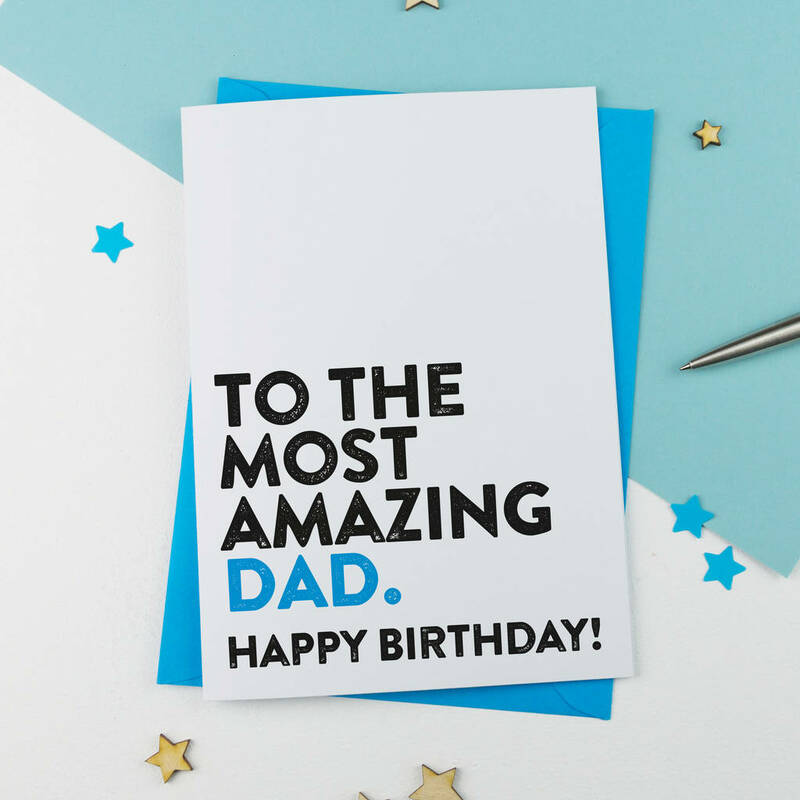 This bold typographic style birthday card will make your Dad feel extra special on his birthday. 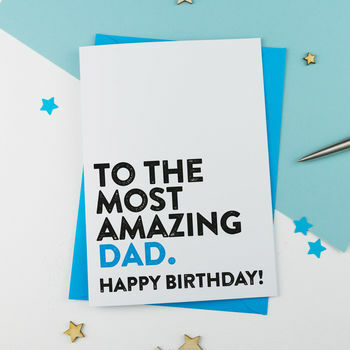 Designed with a bang-on-trend grungy hipster style feel, this card is perfect for Dads of all ages. This card is supplied with a matching BLUE ENVELOPE and are packed in cellophane to keep it looking great! All cards are printed on SUPER HEAVYWEIGHT 350GMS uncoated recycled card to make them completely different from standard shop-bought stuff. Cards are posted in an A5 board-backed envelope to make sure they reach you in perfect condition!